Thiago Jacaré had serious complications in a tournament in Portugal. A jet ski took him out of the sea and was taken by ambulance to the hospital. Thiago Jacaré returned to life. This experienced 35 year old surfer almost lost his life in the Mar de Nazaré, a small town located in the coastal center of Portugal where he was practicing with giant waves. “It was by far the worst moment of my life. I could hardly breathe in the waves … When I reached the sand was completely exhausted, I could not even move” , said the Brazilian who gave thanks for ransom avoided a disgrace. The ‘wipeout’ Jacaré had been doing was normal until a giant wave made him lose his balance and he threw him off the board. Until then nothing unusual in the activity of these athletes. The issue was that when the Brazilian wanted to recover, the dangerousness of the sea cornered him. 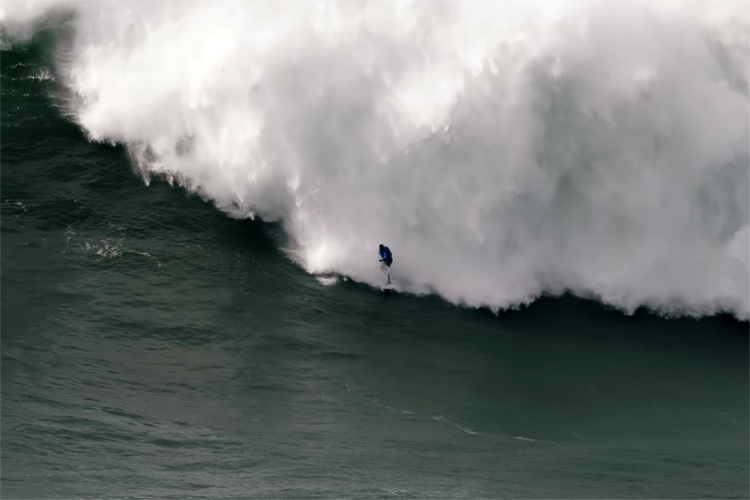 Four consecutive giant waves left him exhausted and without strength to get out of the water. His teammate, David Langer , tried to rescue him on a jet ski, but the force of the sea made it impossible. It was then that after several failed attempts, another surfer came to the rescue of Jacaré and managed to rescue him. Jacaré was taken on a jet ski to the beach where he was treated by the medical services of the place. The surfer arrived in precarious conditions due to the struggle he had with the dangerous sea: he was hit by five giant waves consecutively, something not uncommon in Portuguese beach, known for his bravery.